BLOD I have loved your guest blog this week. I live in New York now but I used to live in Scotland and I have very much enjoyed learning about Wales this week! 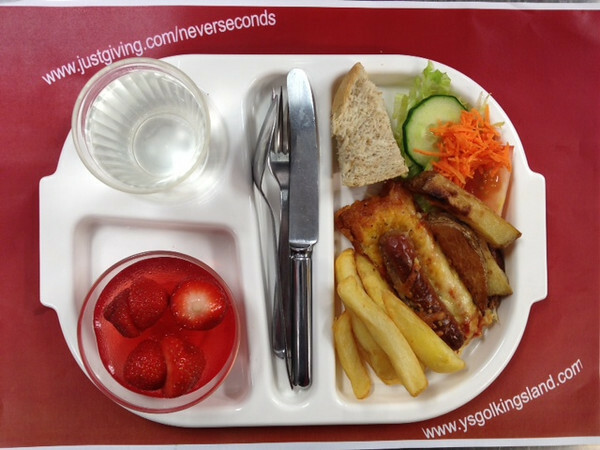 VEG thank you for this wonderful blog I have really enjoyed learning all about school lunches around the world! Da iawn Blod, rydan ni'n falch ohonat ti yn Blwyddyn 4, rwyt ti wedi gwneud gwaith da iawn drwy'r wythnos. Rydan ni wedi mwynhau darllen y blogs a'r sylwadau. Great job BLOD! You gave us an amazing week. The foods looks really yummy. Congrats to your awesome Mum! Also, I did enjoy viewing your pictures at http://ysgolkingsland.blogspot.co.uk/ 'til next time! VEG, I hope you are doing well and having fun. Looking forward on your visit to Malawi. You two are great kids! :) Keep up the good work! Thanks for a great week of guest blogging BLOD - congrats to you on writing so well and to your mum on providing lunches that look great and seem very well balanced! Good to hear the Malawi trip is shaping up VEG. The jags will be over in a flash and better to have them and be safe than face the diseases many in Africa have to battle with. Mom's cooking at school. You can't beat that.Congratulations to everyone at Ysgol Kingsland. Not only are the lunches terrific but the activities, school trips, adventures and theme days provide an exciting learning environment. I don't remember any of that during my school days. You are lucky to have people who care so much to provide you with so many opportunities. Veg - what you have started has become a wonderful adventure for the whole world to participate in. Thank you as well to mom and dad for their amazing support. Thank you also to all the people from Germany, the Czech Republic, China, Australia and all the other countries that are helping to make the world feel more friendly. Keep taking delectable pictures and keep on writing and giving. Thank you everyone! Well done BLOD for a great week's work. I love the way you kept the bit about your mum until the very, very end. Well done, it made a really good ending! BLOD, thank you so much for this week. I've had a lot of fun learning about Wales (and I was very excited to hear Niamh speaking Welsh. I didn't know how to pronounce any of it). Your school seems very fun. I wish mine did theme days like yours does. VEG, I'm glad to hear you're having so much fun on your vacation! Keep up the great work! BLOD - You've been really fantastic and it's been great reading your entries. VEG set such a high standard and you kept it going. VEG - Welcome back. We love your blog and always look forward to reading it. Going to Malawi will be such an incredible experience. We went to Africa teo years ago and the people are so friendly. We're going camping in two weeks, it might have stopped raining by then. From Jessica (13) and Rebacca (11). Near Skipton in North Yorkshire. Thankyou to Veg for inviting Blod to be her guest blog. The whole family is hooked. Thanks to the headteacher at Ysgol Kingsland giving Blod her so much support. Veg's Dad - Thank's again. 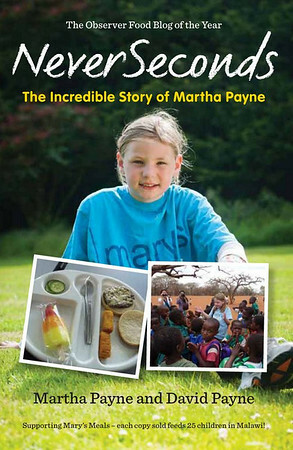 Enjoy your trip to Malawi can't wait to hear about it. Thank you BLOD. If you don't mind too much VEG, I have to say BLoD's food looks tastier than yours. The sausage pizza seems such a good idea. I make a pizza every Monday, usually with onions, mushrooms, sometimes pineapple and Jalepeno peppers and always with chorizo. Oh please let that pror note post. I cannot write it again. Blogspot does NOT like a lot of us. Oh, Please, Blogspot! It was a very interesting week. I did not know that Wales is so different. Thank Blod. What do you do on American Day? !